Why not join in with the many SSTV'ers around the worls on the "Live Chat Server" You can just watch to see whats going on, Ask a question about SSTV problems you may have with Analogue SSTV software or EasyPal software. You can arange a sked or just have a chat with other's with a interest in Ham Radio digital modes. 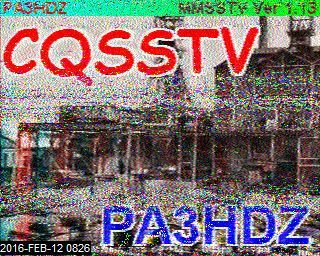 Check it out now HERE if you have a SSTV Website you can even add this chat to one of your pages and get your visitors to join in. Keep up to date with what's new in the world of analogue SSTV and digital EasyPal. 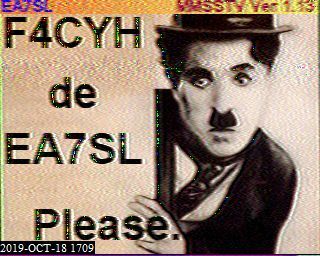 As new updates and beta versions of ham SSTV and EasyPal programs are released you will find links and information about them HERE. Associated programs like graphic editing and FTP of your received digital and analogue SSTV images will also be found HERE. I try my best to keep this page up to date with all the latest links and news but if you find any errors or you know of anything you think should be added just let me know. You can also sign up to get a email when I make any updates to the page. Getting Started With EasyPal "First Time User HELP"
FreeDV is a program for sending and receiving digital voice over the radio for VHF and even HF. 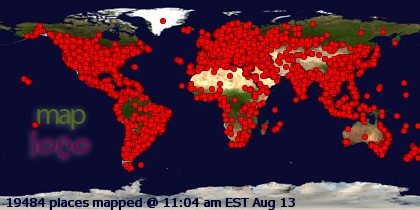 The place to find most activity is on the 20m band 14.236. The program and the codec used are all free open source and are cross platform so it can run under both Windows and Linux with the source code available to everyone. For RX only you will only need one sound card but for RX/TX you will need a second sound card, one of the cheap USB sounds dongles will do fine. First tests with FreeDV were very encouraging finding 3 others on 14.236 within 10 minutes of installing the software. Click HERE or the image on the right for more info and videos. The AirNav Radar box has a antenna connected and from here in Clacton on Sea Essex I can pick up the aircraft up to around 200 miles. For a small subscription you can also collect data from the internet and display aircraft from all round the world and zoom into airports ETC. The screen at the user end displays all sorts of data and by clicking on each aircraft you can display information including a photo of the aircraft being tracked, where it is flying from and to, the height and speed, flight ID, Airline and company details. The latest software from Airnav includes 3D google images at a extra cost. Click on the image on the right for full size. Thinking of Getting Solar PV ? Worried about QRM ? One thing we all want to do these days is save money and solar power seems a good way to do that right now, but as a radio ham you will also need to think about interference. There are so many horror stories about radio hams being unable to use their radio's due to a neighbor installing a solar system. The secret is chosing the right solar inverter and making sure the fitters do a proper job and also get filetrs fitted where needed. I have has a 4kw system fitted and to date not found any QRM on UHF, VHF or HF. Click HERE for my page showing my solar system make and models with photos inside and outside. I hope it is of some help to you. I am now using a Davis Vantage Vue Weather Station and have now made up a set of pages to display the data. The weather station is located in Clacton on Sea, essex, UK. The Davis Vue weather station monitors wind speed and direction, rain fall, outside and inside temperatures and outside and inside humidity. You can display The Clacton on Sea Weather for now, today, last month and last year as well as a page that displays a full set of live weather gauges. There is also a page that shows the latest animated satellite weather images from around the world. I will soon add a live weather cam showing the real time local weather. The truckcam is fitted into my truck and video is streamed live while I am working. This is monday to friday from 4am until I finish each day. 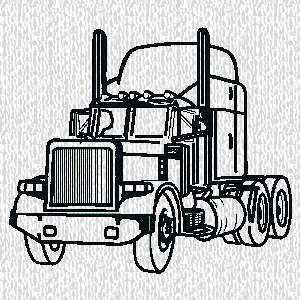 I also run APRS from the truck so you can also follow me on the live map. The live images from truckcam rely on a 3G mobile internet connection so in some parts of the UK I will lose connection. Same goes for the APRS tracking as when I am not in range of a APRS I-Gate the tracking will stop until my signals are picked up again. Truckcam has its own URL http://www.truckcam.tv and by clicking on the image on the right will take you to the TruckCam site. 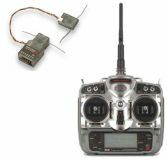 11mtr CB Gateway on FRN "Free Radio Network"
As part of my model plane and helicopter hobbie I am also getting into FPV. FPV is short for First Person View or First Pilot View and allows model flyers to fit a video camera to their craft and see the pilots view via video goggles. I will be using 5.8Ghz video transmitters so not to interfere with my 2.4Ghz radio control gear. Over the winter months I will get my Raptor 60 helicopter fitted up and hope to stream the video live via the internet over the summer months. It would be good to hear from anyone else into FPV as this is all new to me and want to know about adding on screen flight information too. Click the image on the right to see my FPV page.